i had kailey and chris as my charter today, all the way from toronto. at the last second we decided to make it a river trip and it turned out to be smart move. 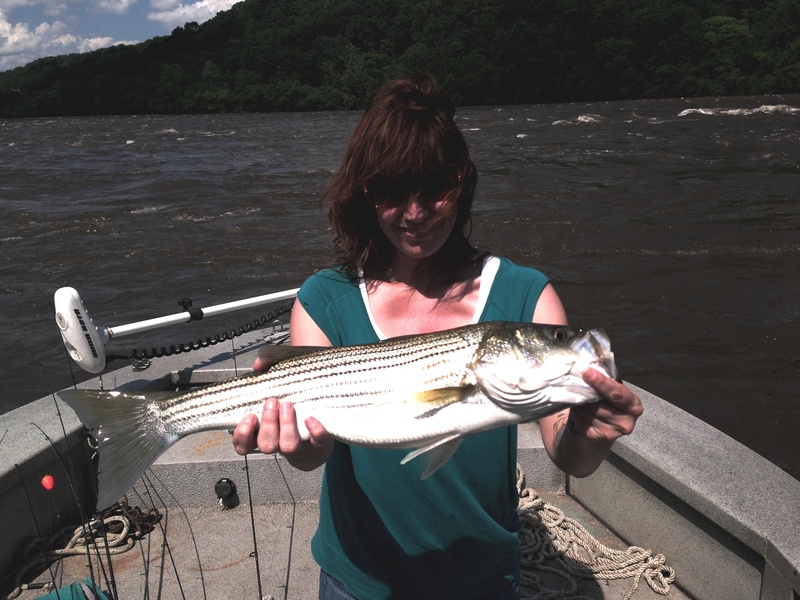 we caught 25 Stripers and some huge Catfish on a beautiful day in muddy water. a great day of fishing where we could do nothing wrong…………………..